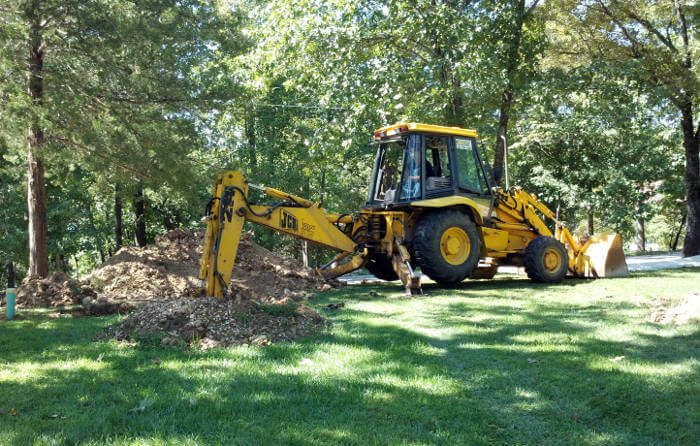 Recently, clients of ours in Kimberling City, MO contacted us for a solution to repair their failing septic system. They have a lake front home on Table Rock Lake and were concerned, not only about their system functioning, but also in regards to protecting the water quality of the lake. It’s always great to work with homeowners who place value on the environment. With any one of our services we offer for treating sewage, we always place emphasis on quality workmanship and installations that protect the natural surroundings. Approximately 90% of sewage treatment applications we provide service for are located directly on the land where the residence resides. In the case of this one, it was located across the street on their additional lot. This additional lot was located uphill from the home itself. As a result, it required a sewer pump to distribute the effluent from the tank to the lateral field. This is typical with the lay of the land in our part of the country. Their system was only a few years old, but over time had started to produce a never ending offensive odor. At first, it wasn’t a regular recognizable odor. The occasional smell as they walked in and out of their home was never given a second thought. It wasn’t until they began to notice that the strength of the odor had become more increasingly foul. Upon walking up to their additional lot (where the laterals reside), they visually noticed standing water on the ground. 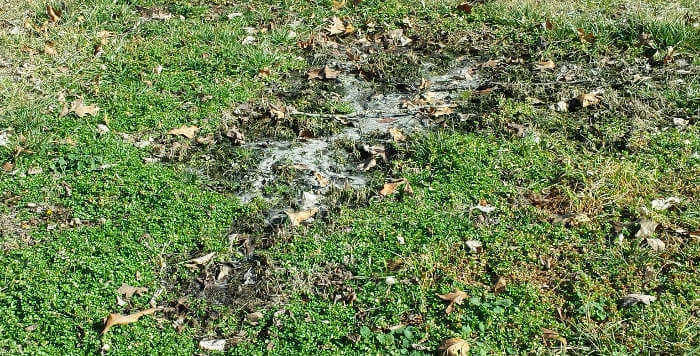 This was evidence enough that made them aware they may have a problem with their septic system. Their first attempt and thought of solution was to have their septic tank pumped out. After cleaning out the tank, they started to notice a reduction in the odor as well as the waste water that was accumulating over their lateral field. This solution of emptying out the tank, although initially thought to be effective, was indeed not a permanent solution at all. After a couple of weeks, the smell had returned along with the standing waste water. It was at this point they contacted us for a permanent solution to repairing their septic system. The existing system contained an impressive amount of lateral lines. It boasted over 600 lineal feet of pipes and distribution outlets! The older septic pump they had was used to deliver the effluent from the tank, across the street and finally up to the lateral lines. Our first diagnosed issue was the pump itself. It had incorrect head pressure to accomplish the task of distribution as well as limited capacities for flow and longevity. Their old septic pump set up. 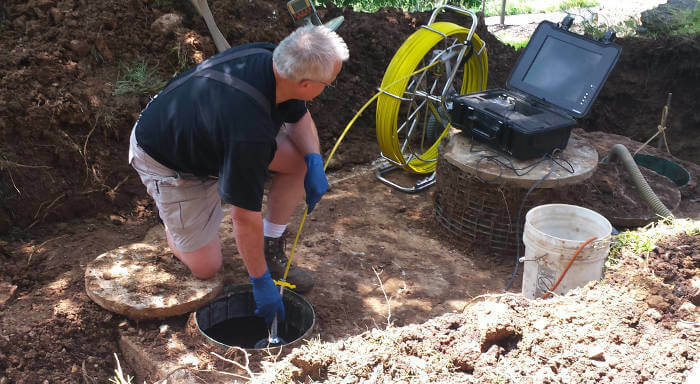 Next, we utilized our sewer camera and diagnostic equipment to inspect the sewer lines, tank and laterals. 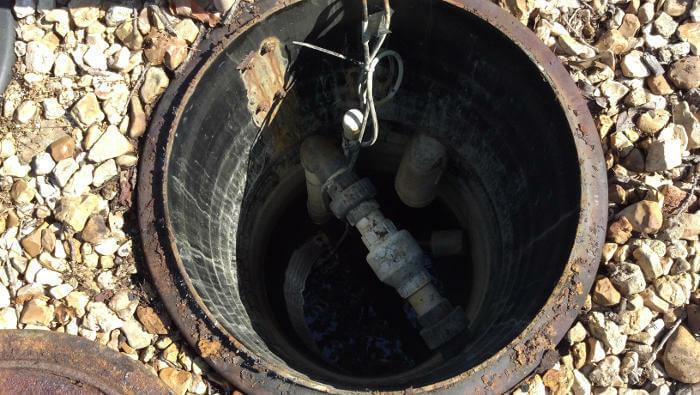 The outcome of this revealed that the pump and effluent distribution lines were only getting the waste water to about 30 lineal feet of the lateral lines. The remainder of the lateral lines had never received any waste water at all! This was posing a serious threat for ground water contamination into Table Rock Lake. At this point, we had confirmed our method of approach. It was quickly apparent that a better effluent distribution system would be needed to properly service the flow from this residence. Not wanting to waste the good effort and money invested by the homeowner for this 3 year old system, we took an innovative approach. 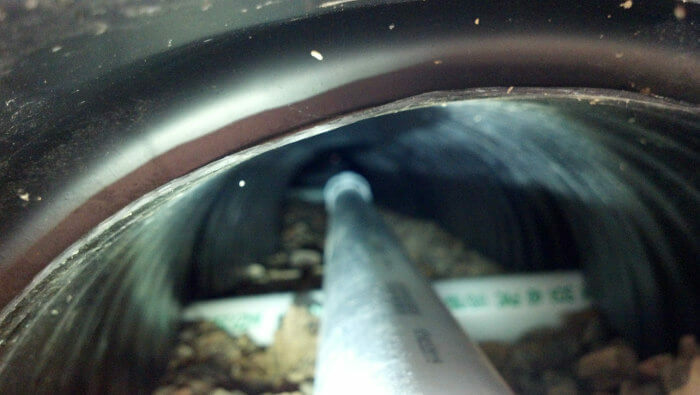 A customized method of distribution was devised as the solution for this failing septic system. 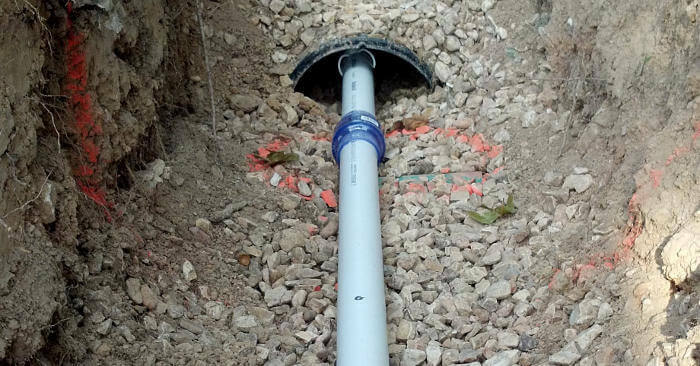 With minimal excavation, we were able to insert custom designed small diameter pressure pipes into the existing laterals. This method, not only saved the homeowner thousands of dollars, but also drastically improved the performance and longevity of their lateral field. We electronically located where the lateral lines began and ended. From there, we dug small entry points to access the openings of the laterals. Once located, we were able to insert our custom designed pressure pipes. After each lateral had new piping, we then restructured the distribution lines to serve each lateral separately. Distributing the effluent was accomplished electronically, which allowed alternating rotation of the waste water intake per each line. Basically, this means each lateral line now receives equal amounts of effluent on each cycle of the pump’s operation. With this method, there is no room for error in regards to the elevation or slope preventing the laterals from receiving the distributed effluent. By ensuring equal distribution, it helps prolong the soil’s absorption life span. How did we accomplish it? The Visi-Pump system is our proprietary electronic sewer pump and control panel operating system. We designed it after years of dealing with failing sewer, septic and grinder pumps. The pump itself is a power house to say the least. While traditional residential sewer pumps generally only come with a 2 year warranty, our Visi-Pump system comes with a 10 year warranty. This is due to the internal components and the operation that’s controlled by our computer programming. The computer programming is controlled by our proprietary control panel. It’s strategically designed to not only operate our pumps effectively, but to also give the pump electronic commands which allow it to last longer than standard sewer pumps that you could get from a plumbing supplier. The Visi-Pump system that we installed on this project included a new pump, pump basin, filter housing and a new control panel with an interactive touch screen. 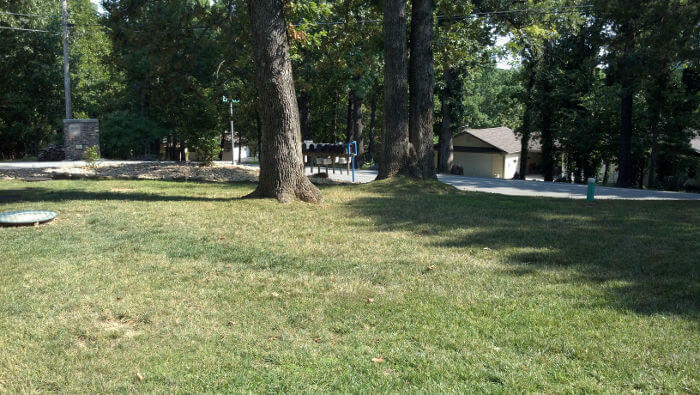 The client now has a state-of-the-art septic system providing even distribution to all of their lateral field. No more wet spots. No more odor. No more ground water overloading. 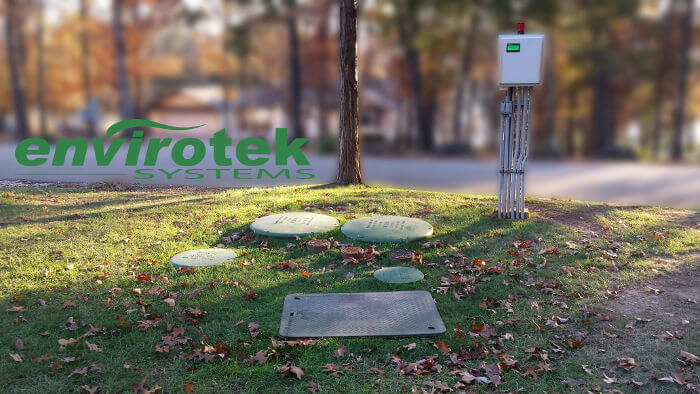 If your septic system is in need of repair, maintenance or restoration, consider our services at Envirotek Systems to protect the water quality of Table Rock Lake.